Telemundo has debuted upgraded, individual station apps for 15 of its local Telemundo-owned stations. The upgraded apps feature first-of-its-kind innovative personalization and Spanish-language features for users. 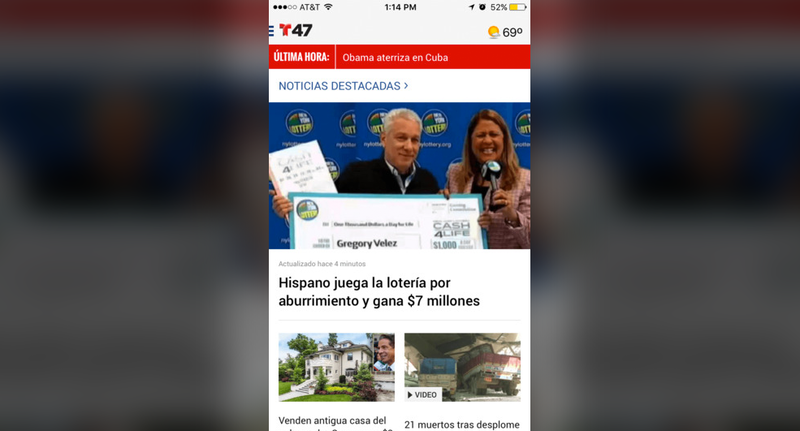 Specifically, the new fully redesigned look for iOS and Android-operated smart phones and tablets, offers Spanish-language users the ability to select personalized in-app features and receive automated weather push alerts in Spanish. This is the first time that a local television station group in the United States is offering its digital users interactive mobile features in Spanish to help them stay ahead of the news and any severe weather that may threaten to impact their local communities. Individual modules for in-app sections to help users find the information they want, much faster.